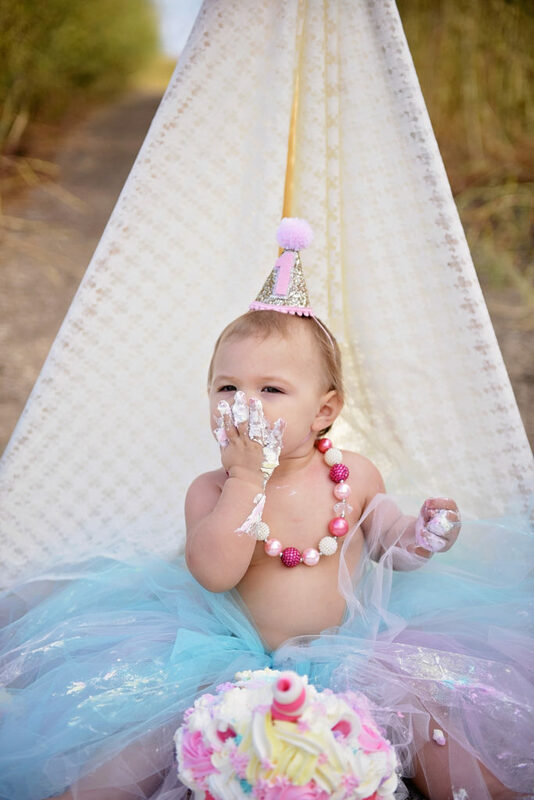 These sessions are so much fun and something to truly cherish. 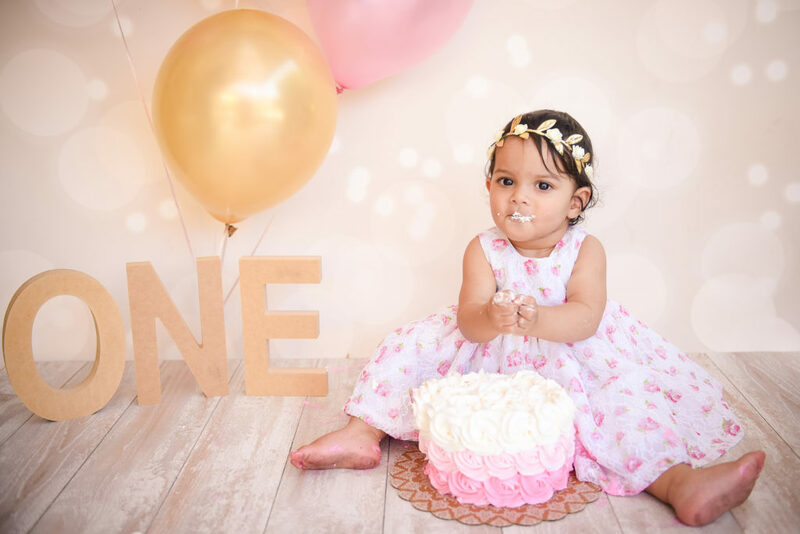 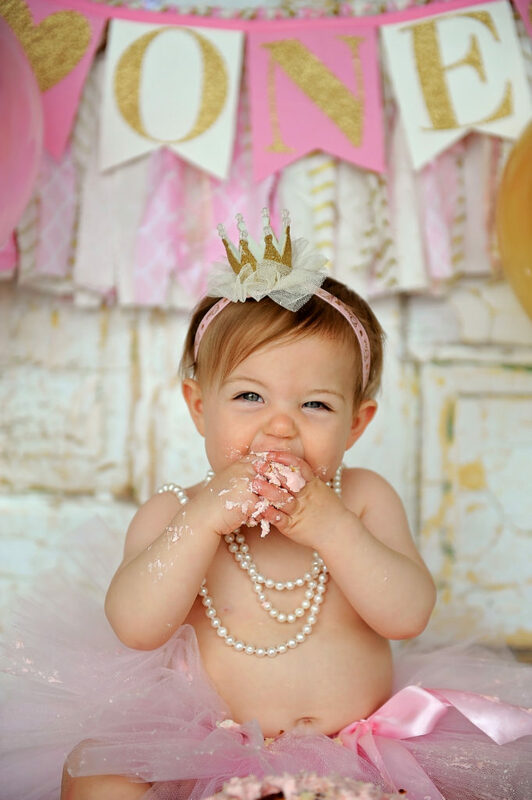 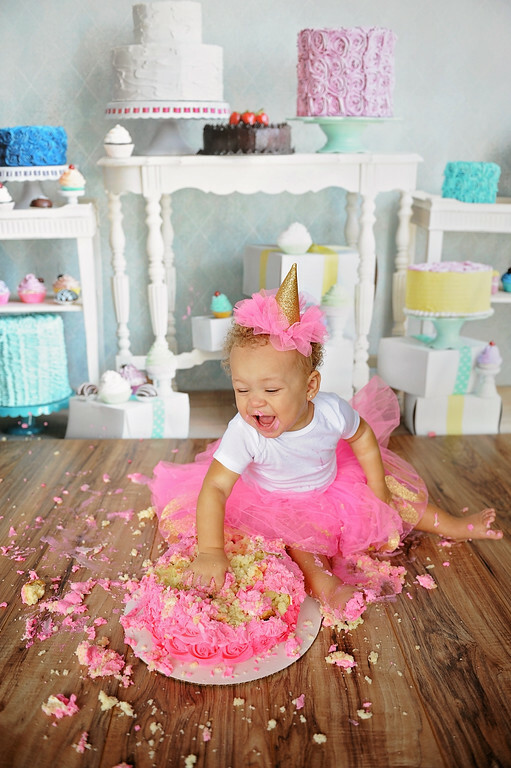 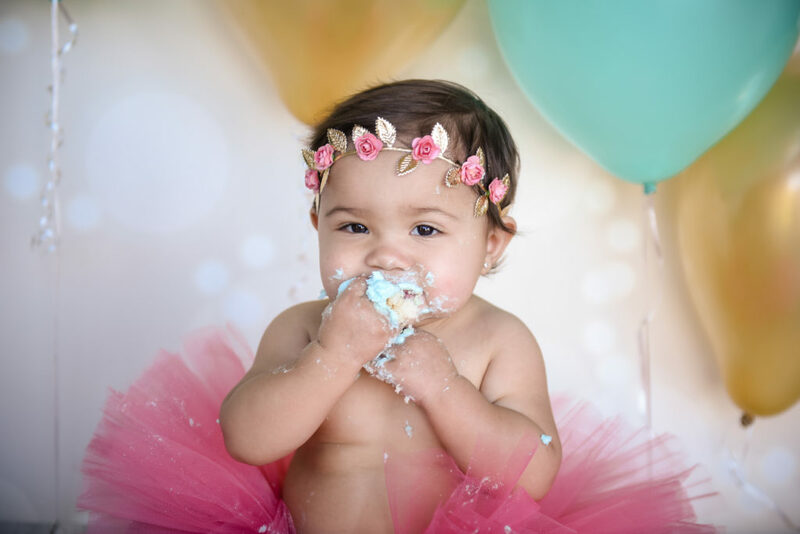 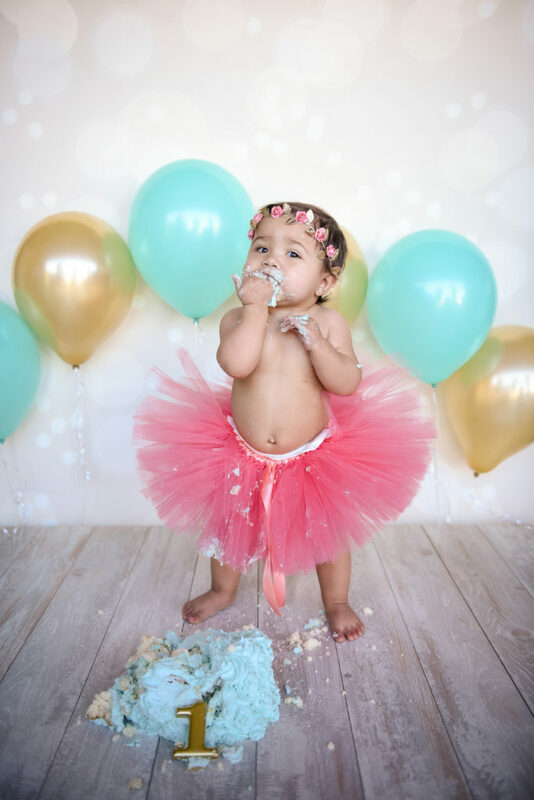 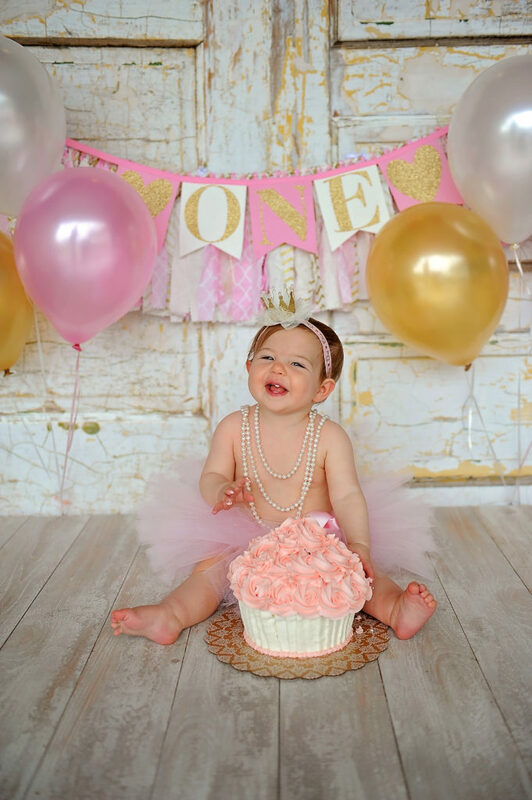 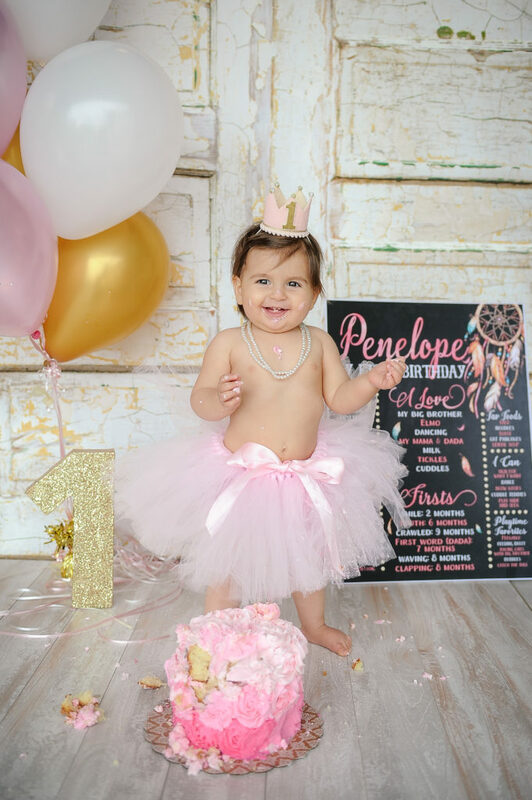 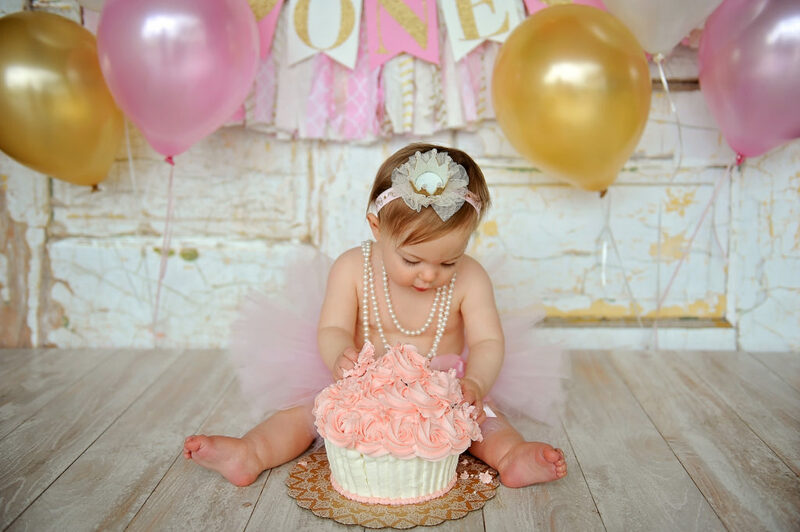 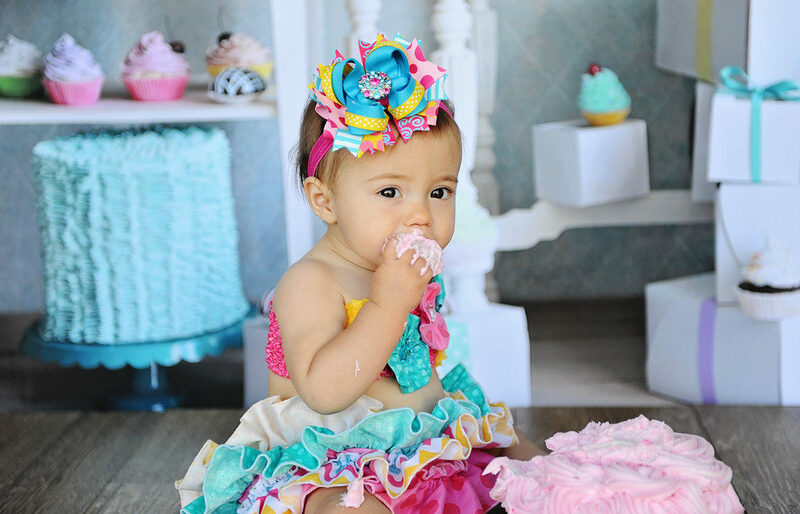 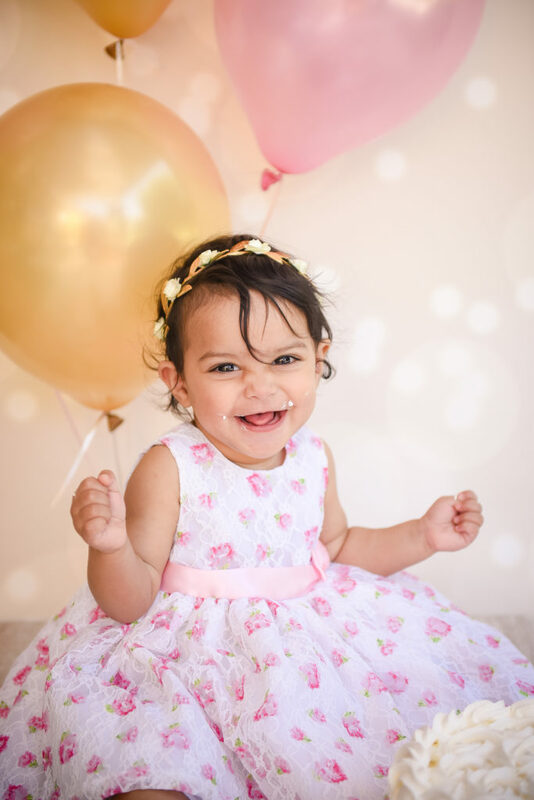 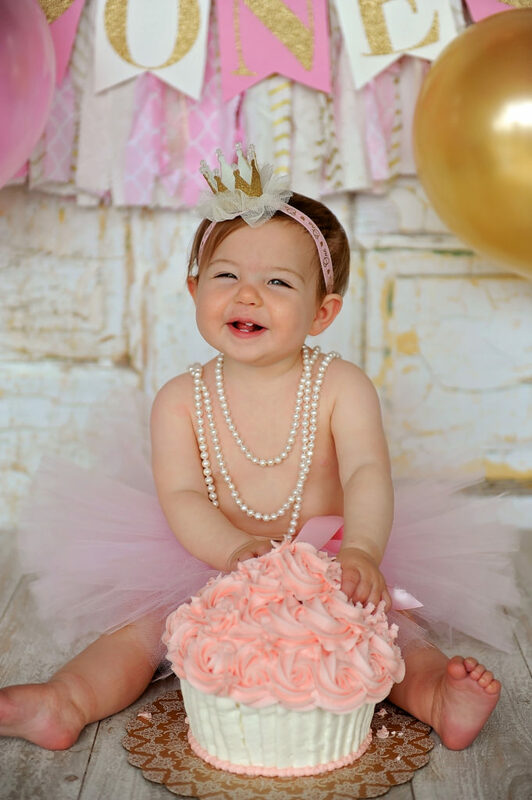 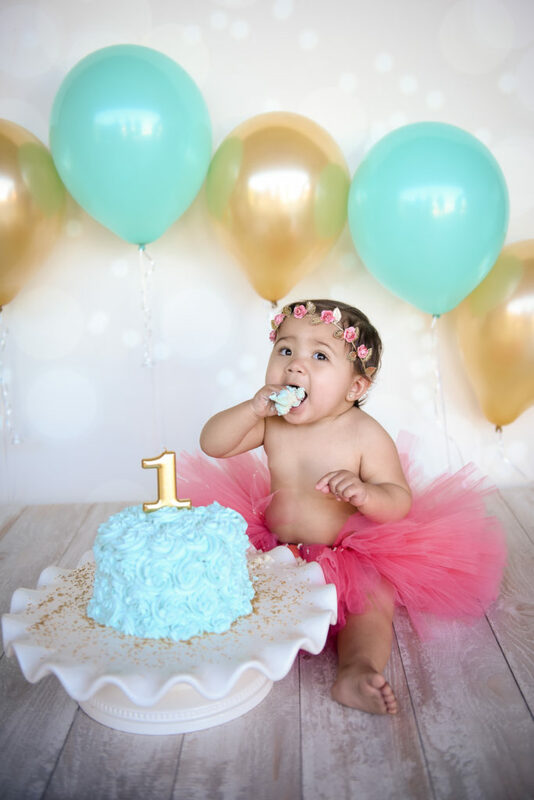 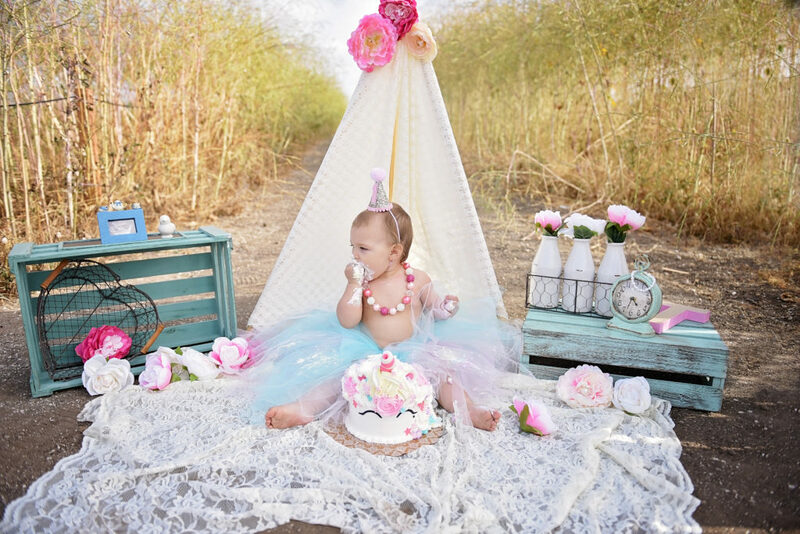 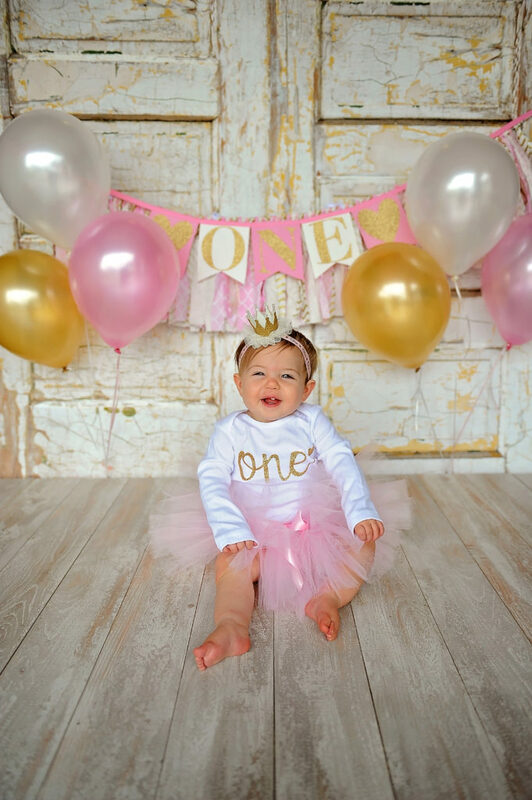 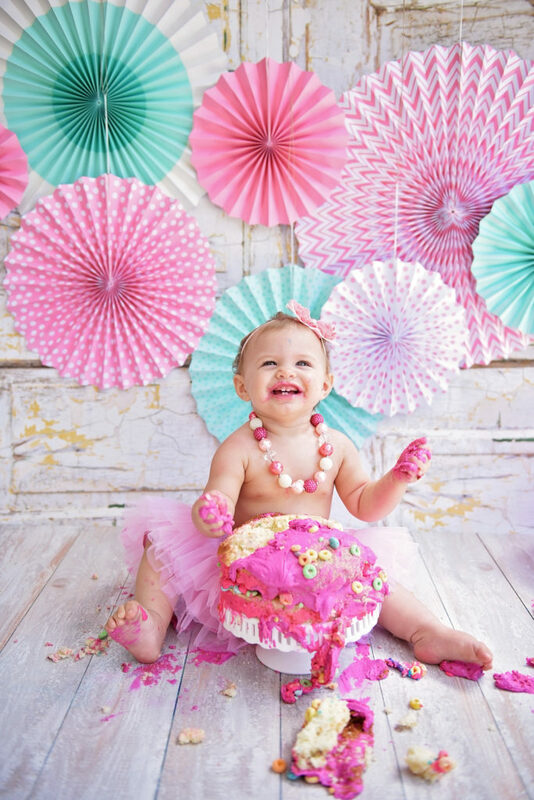 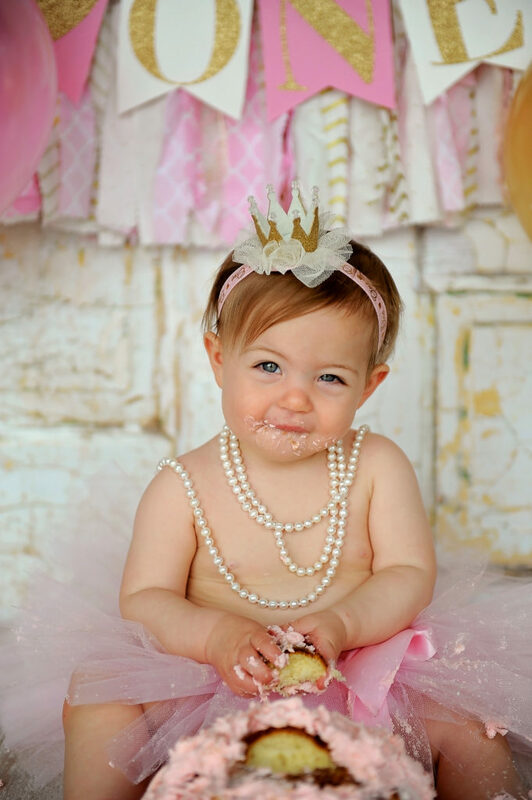 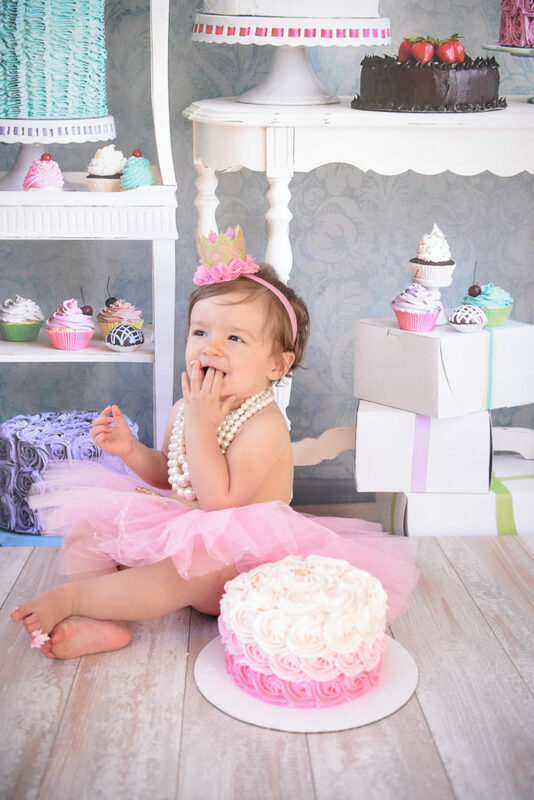 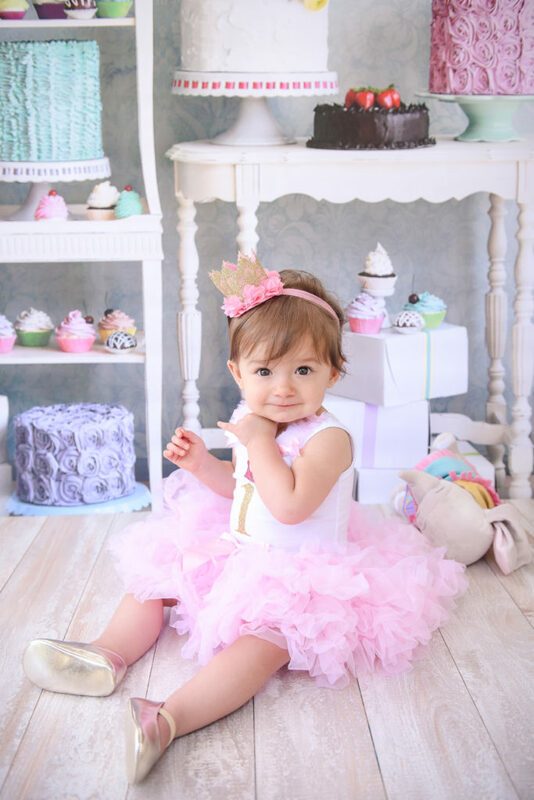 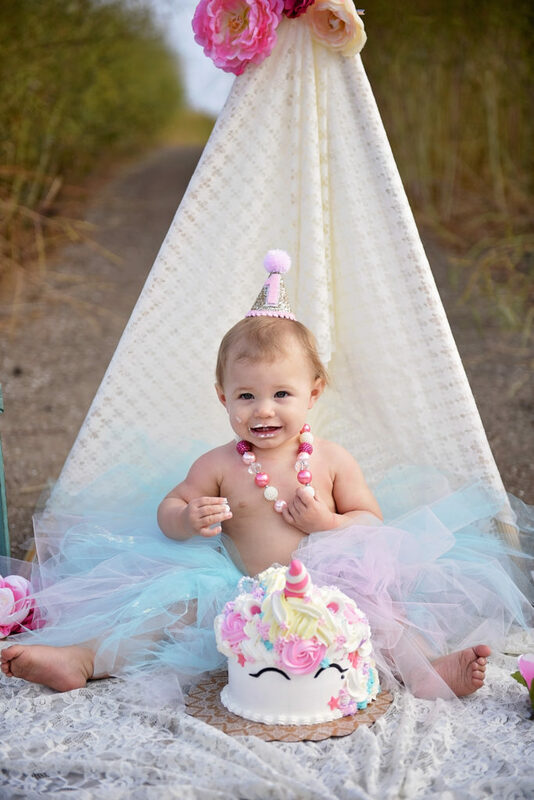 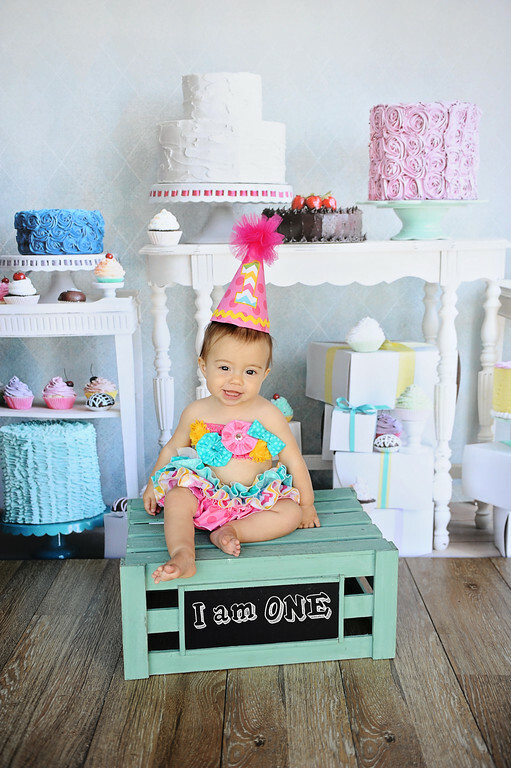 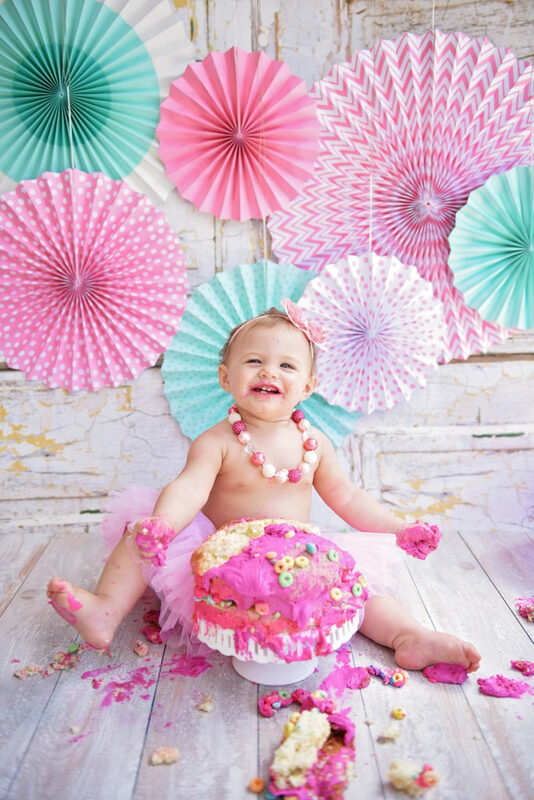 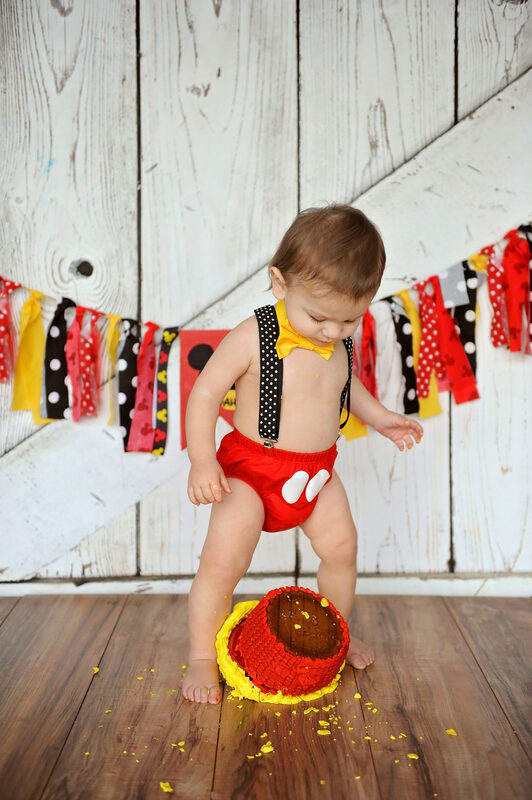 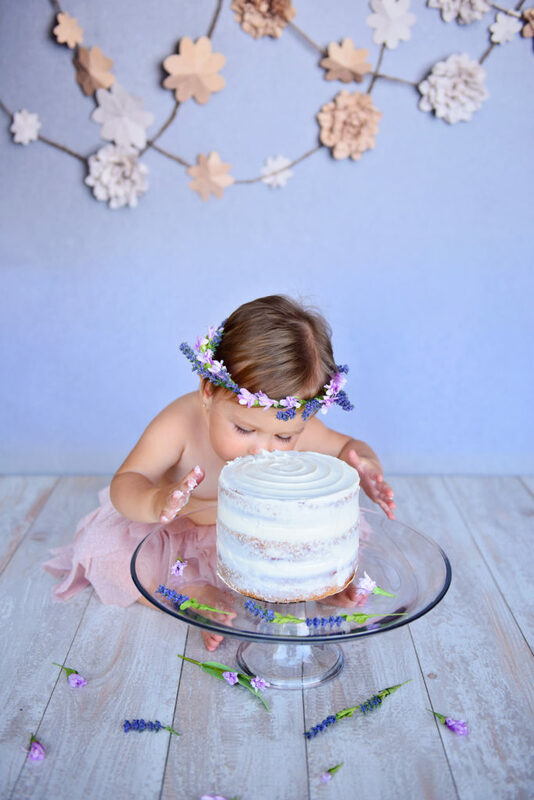 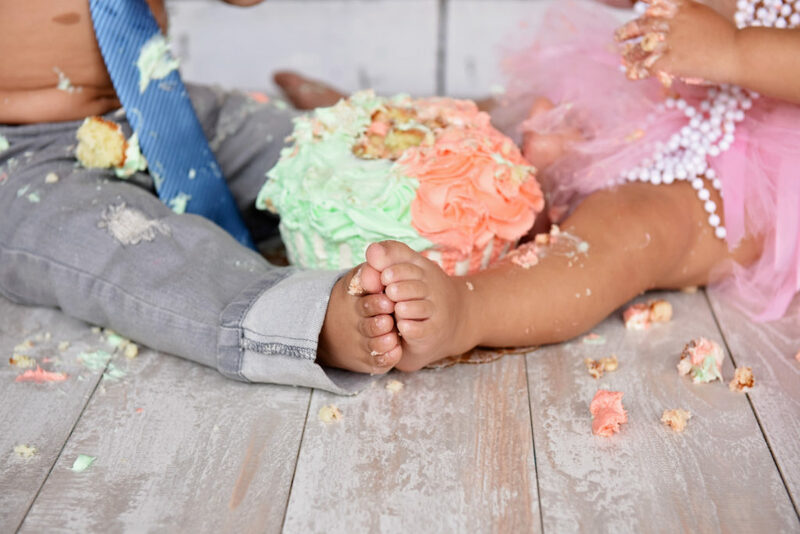 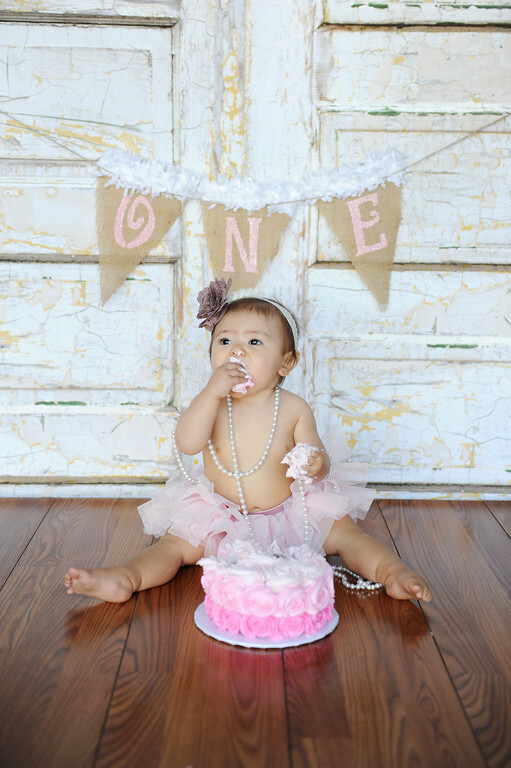 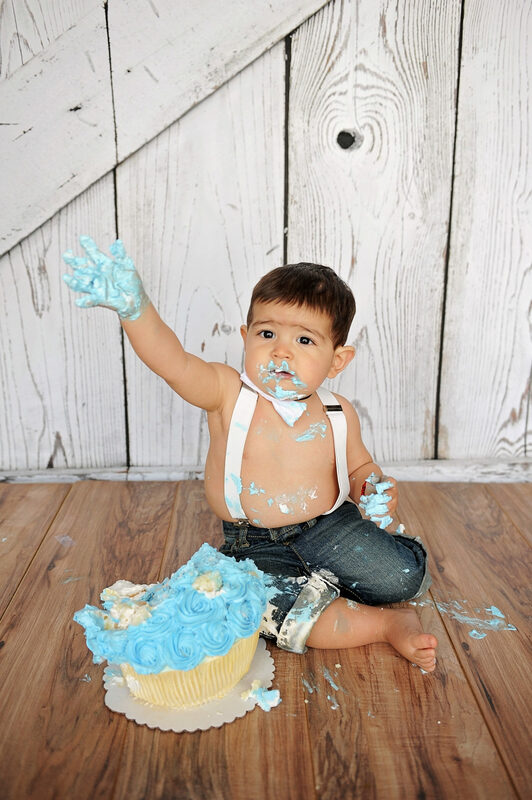 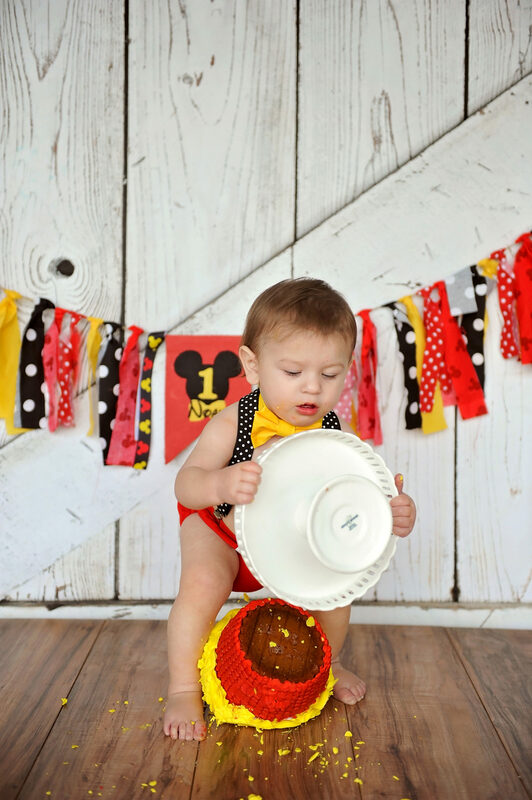 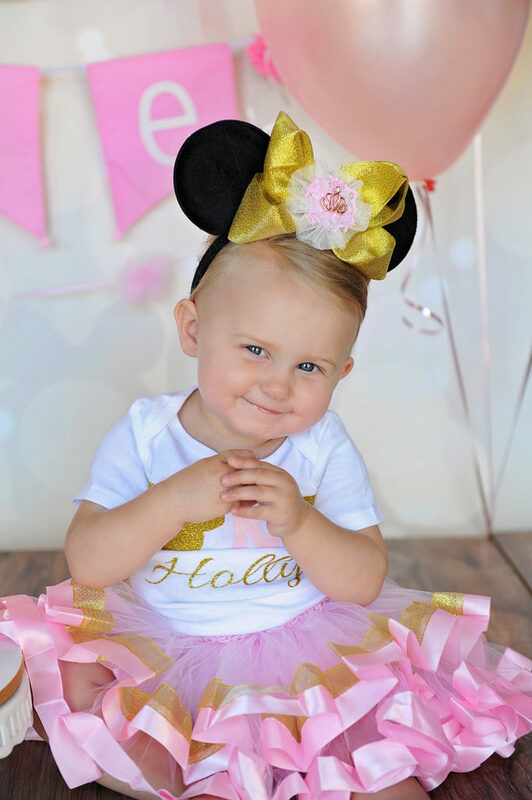 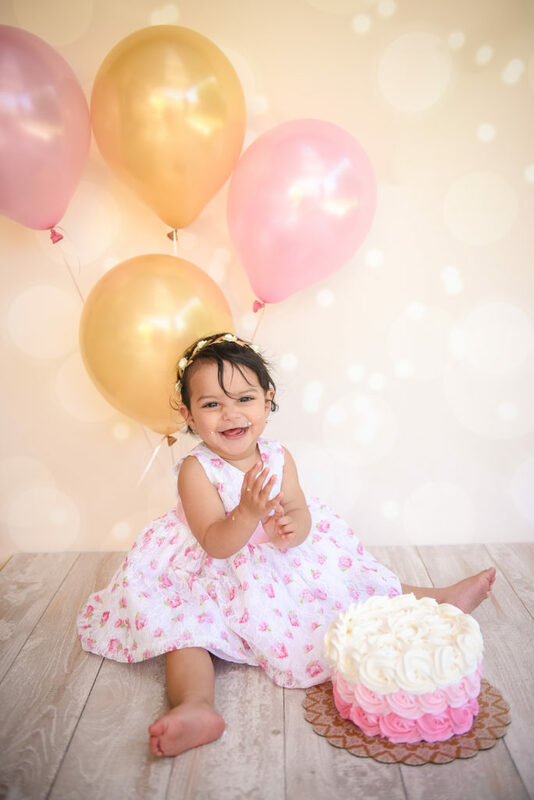 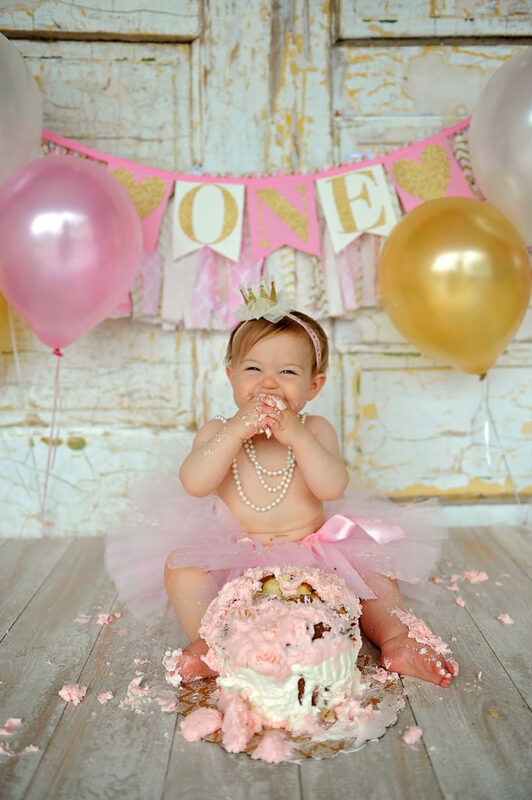 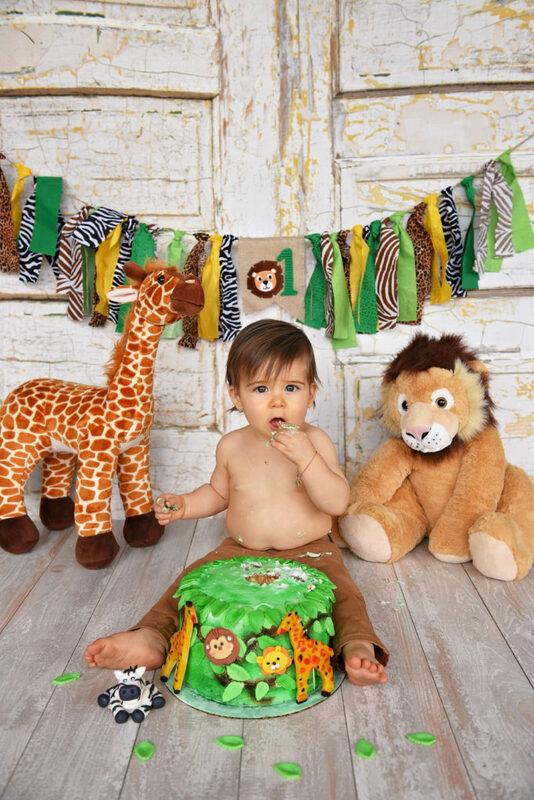 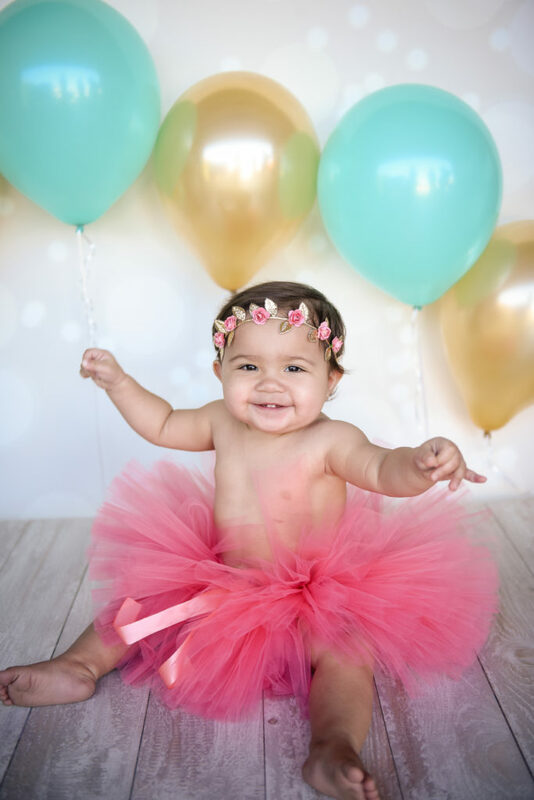 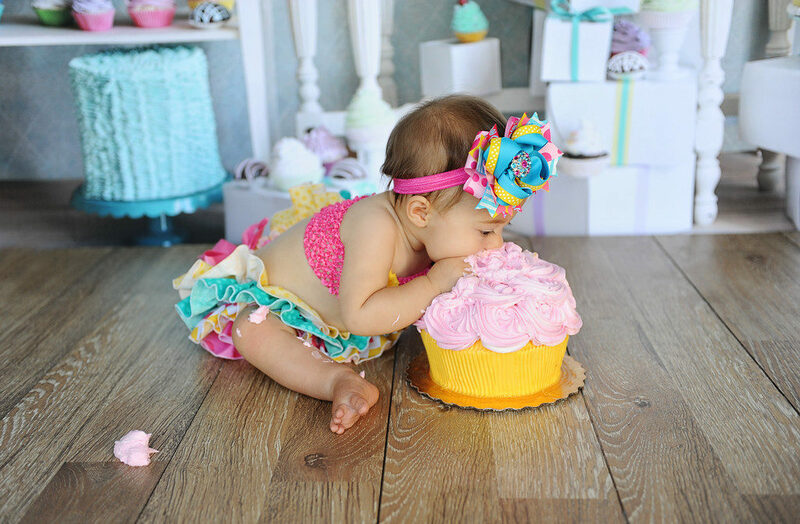 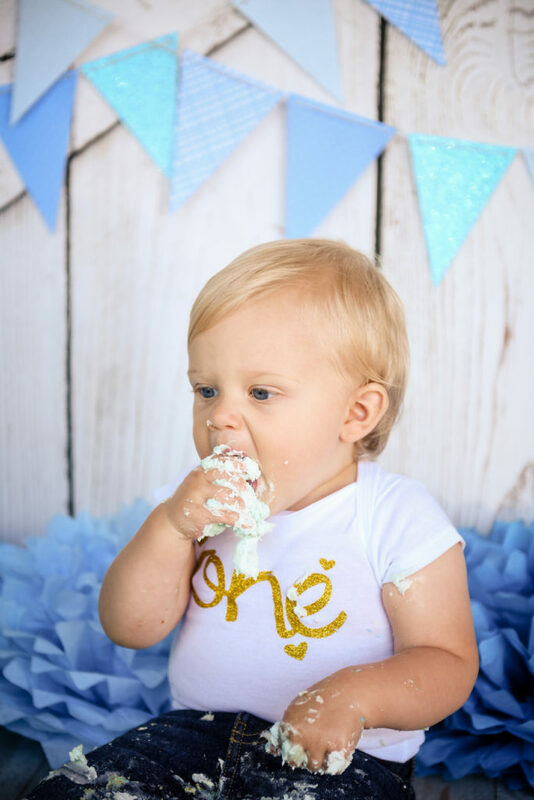 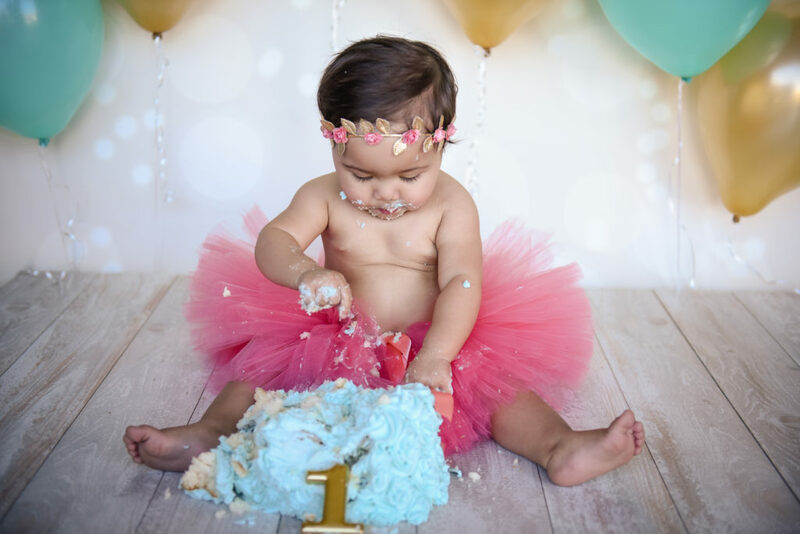 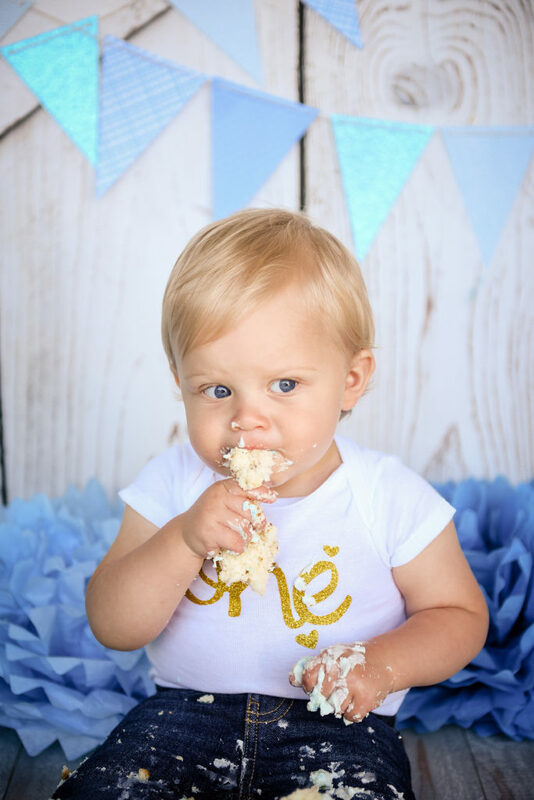 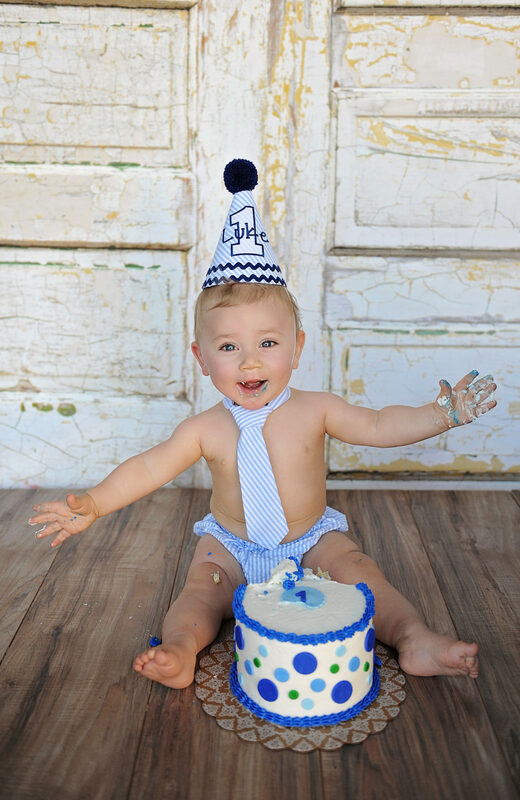 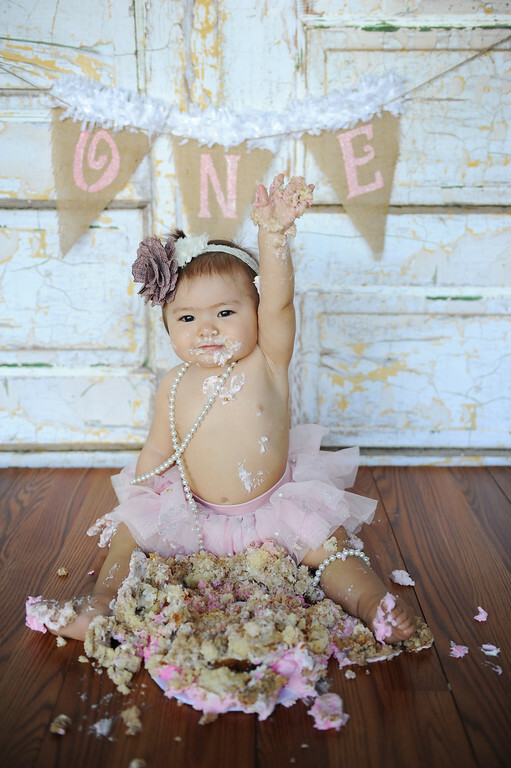 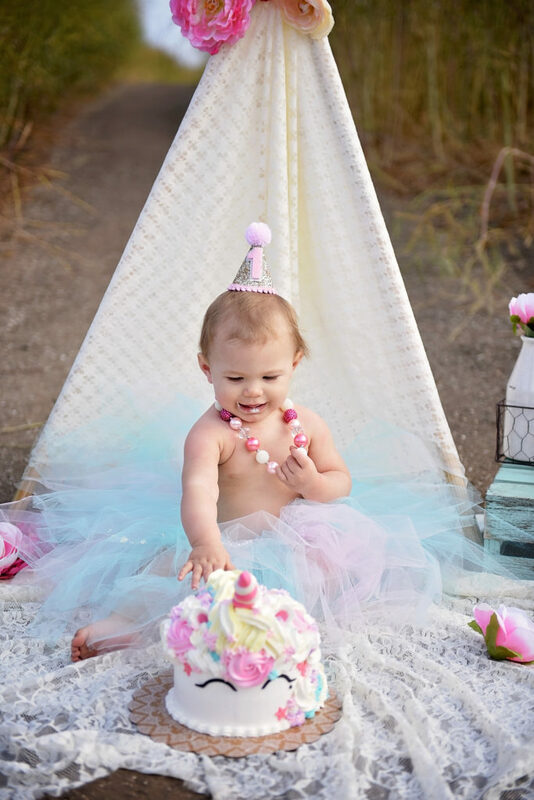 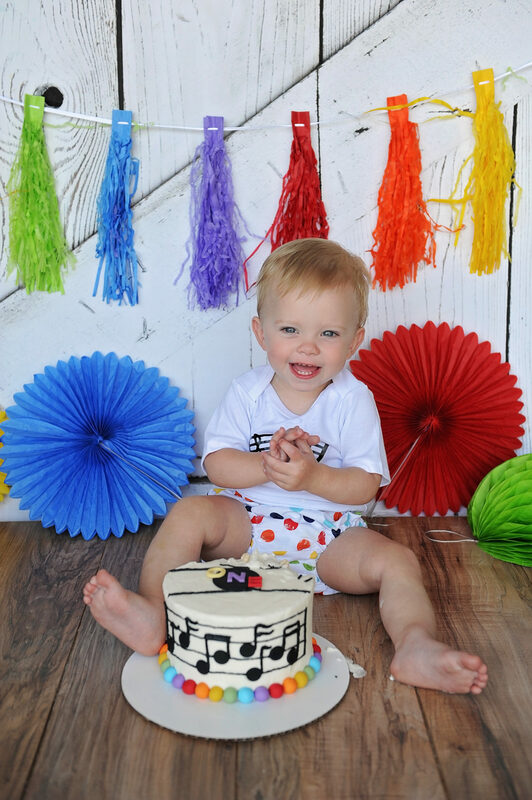 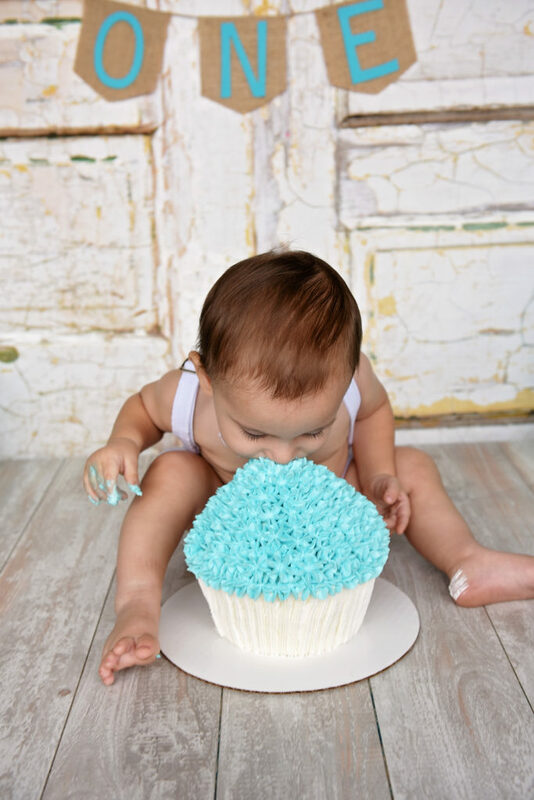 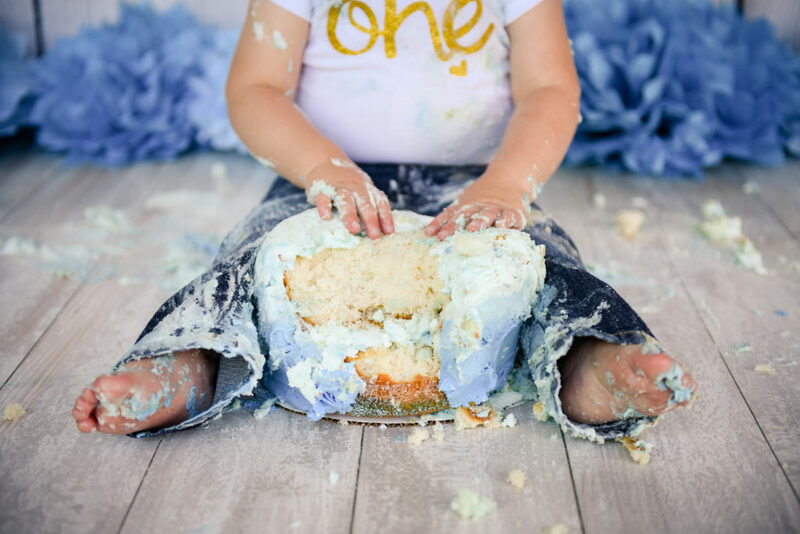 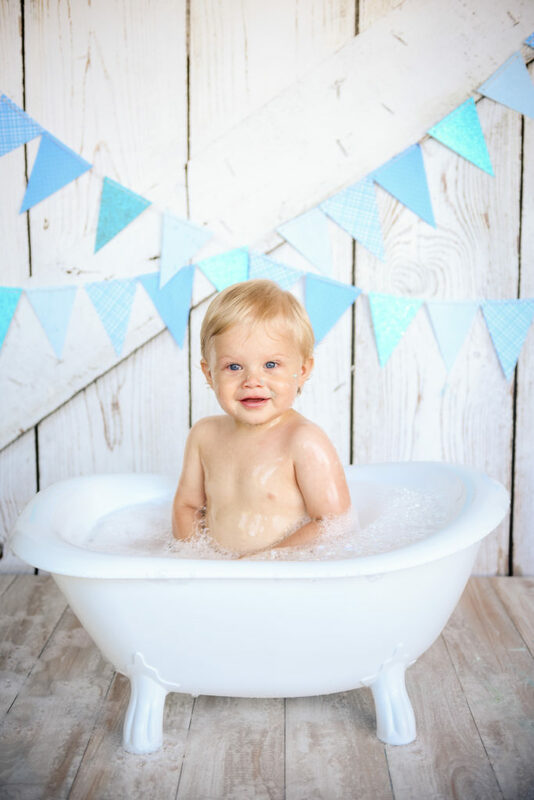 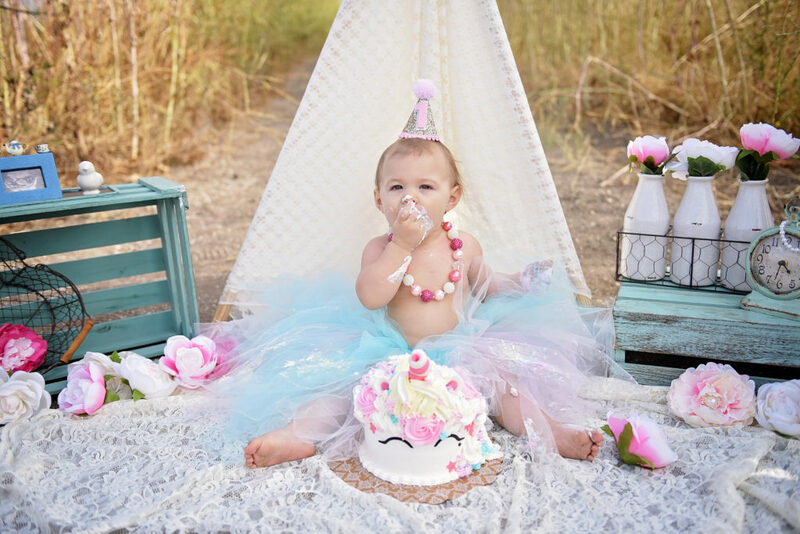 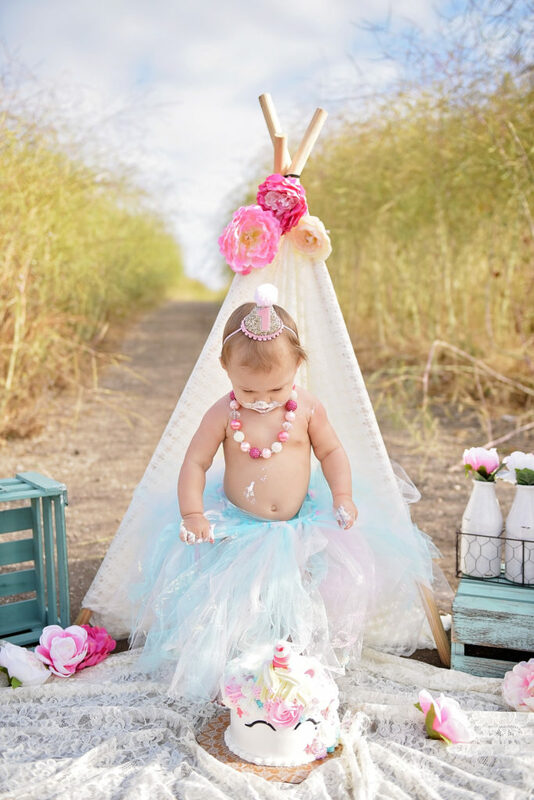 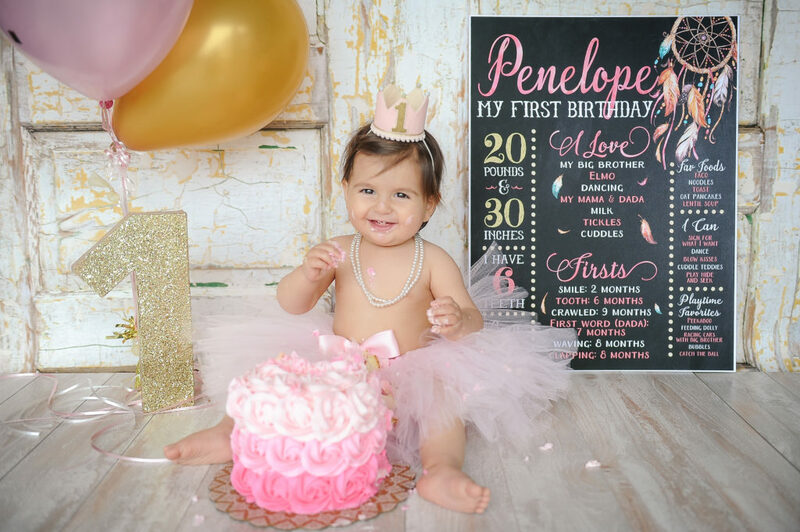 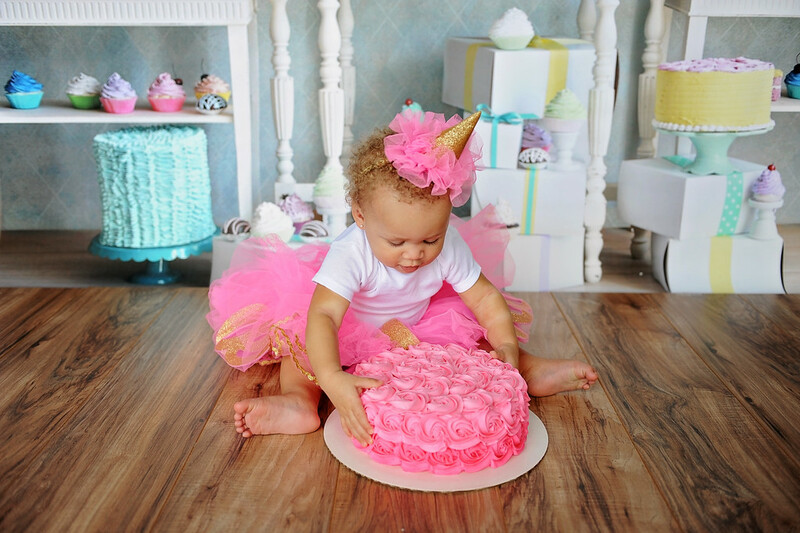 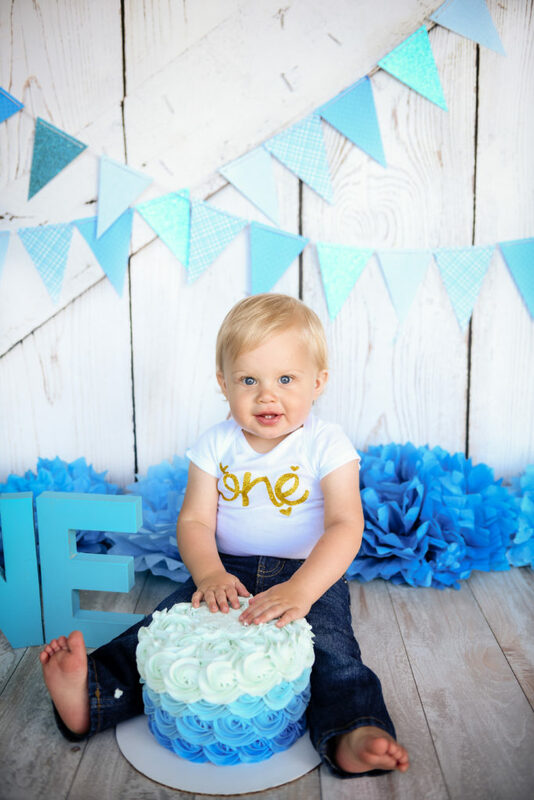 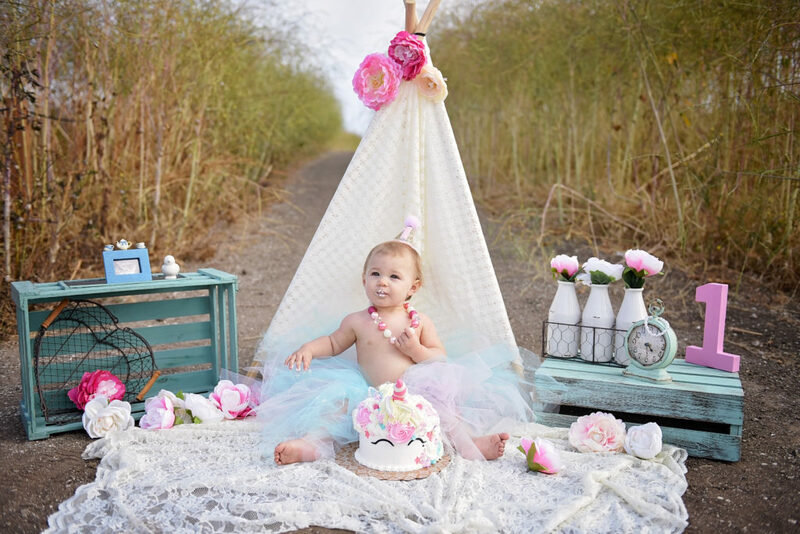 It is advised to book cake smash sessions at least 6 weeks in advance to allow enough time for custom outfits and props to arrive. 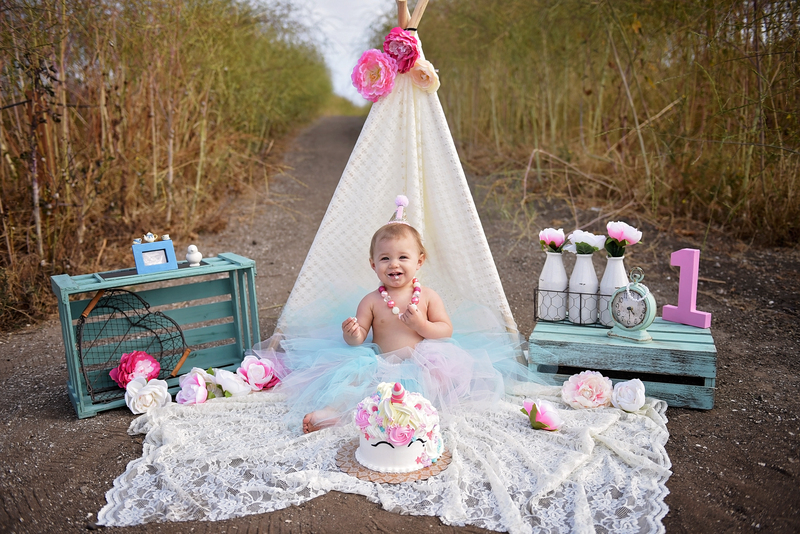 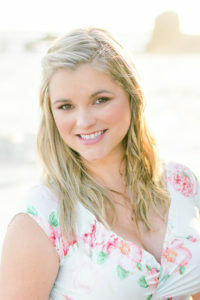 We will also go over styling for your session to make sure your pictures turn out exactly how you envision. 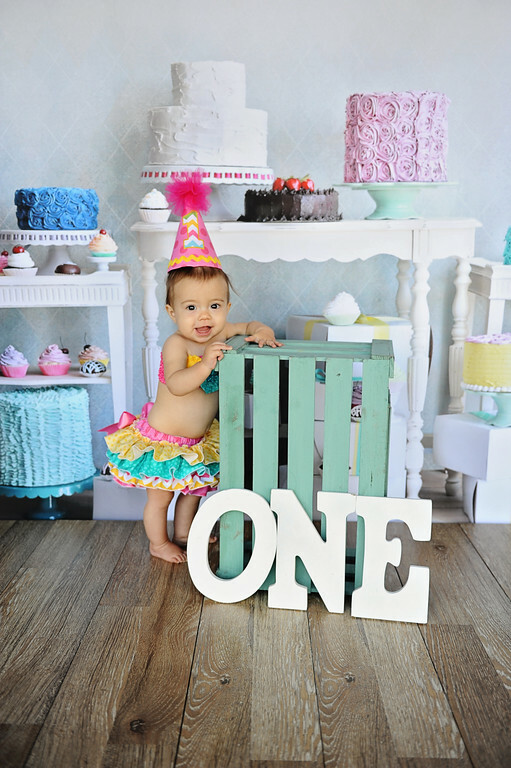 From outfits, props and themes, I want to make sure you are 100% happy with your images. 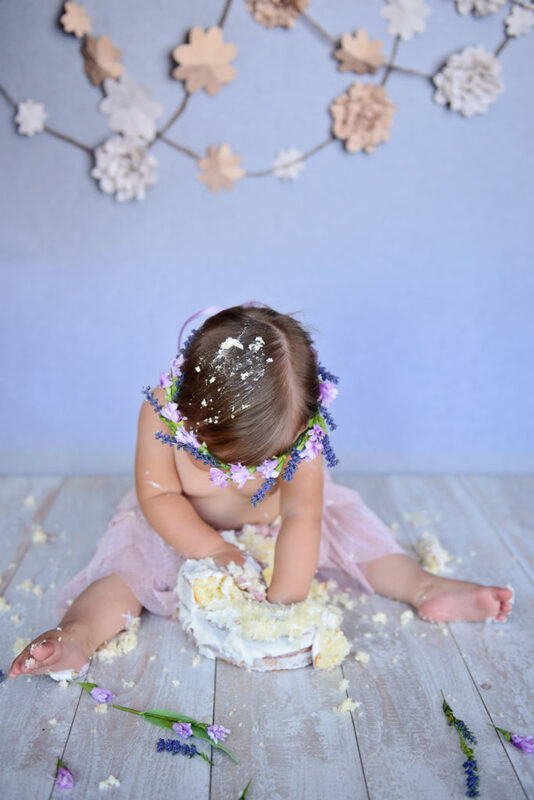 After our session I will send you all your images to view within a few days. 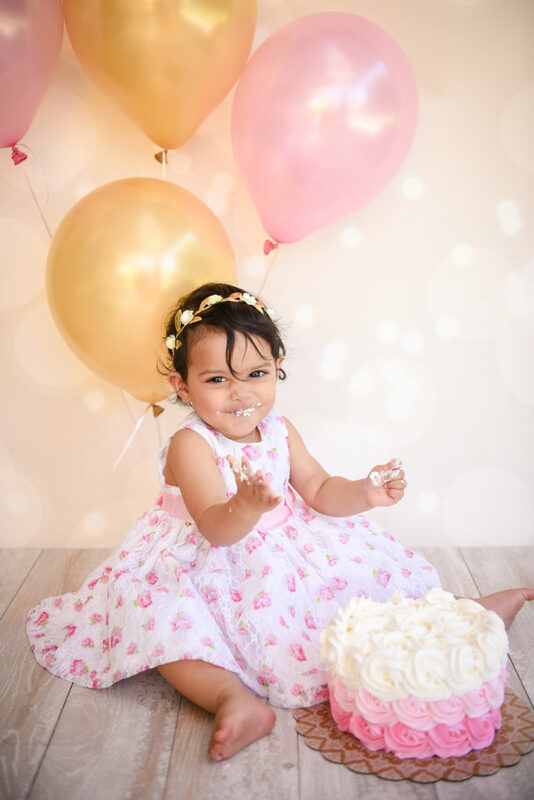 You will then choose your favorite 20 ( or more ) and those will be the images that I edit and send back to you high resolution. 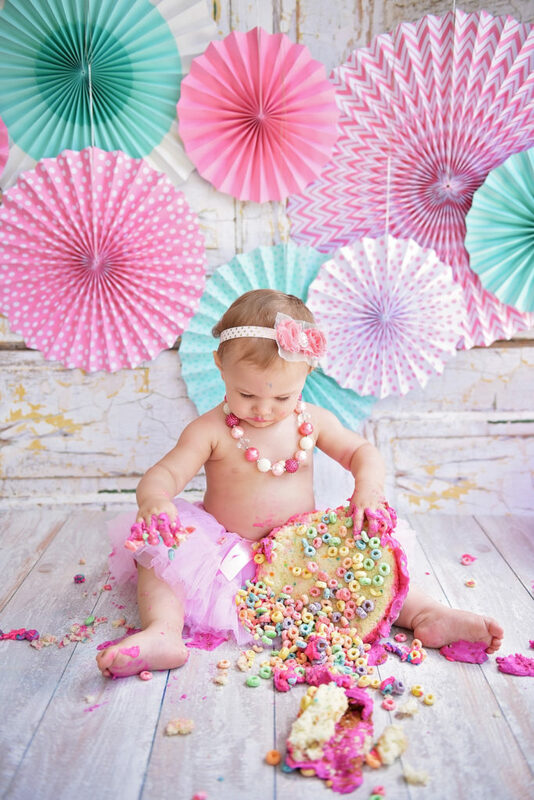 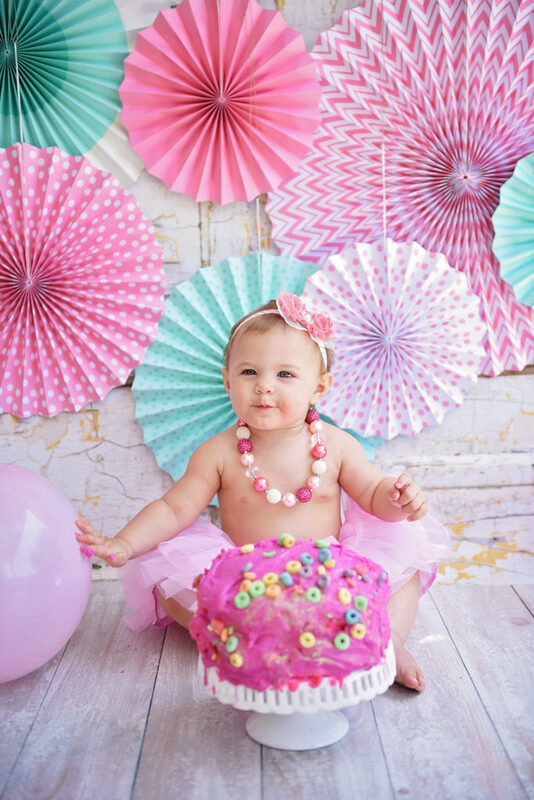 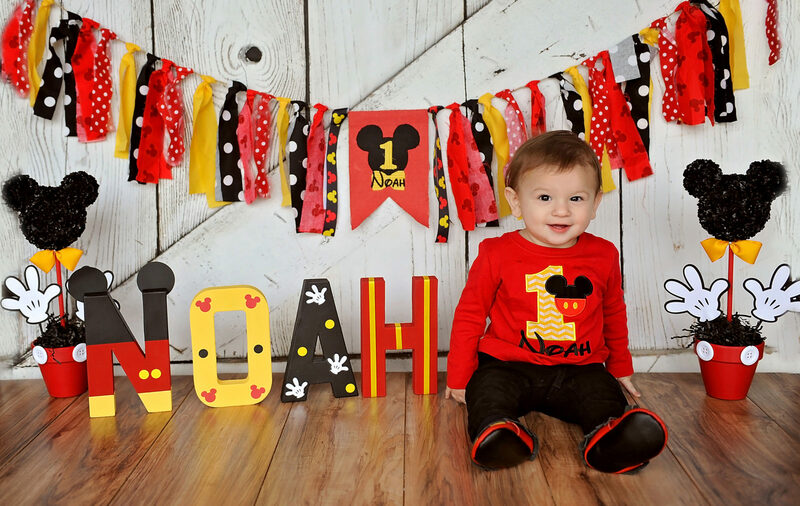 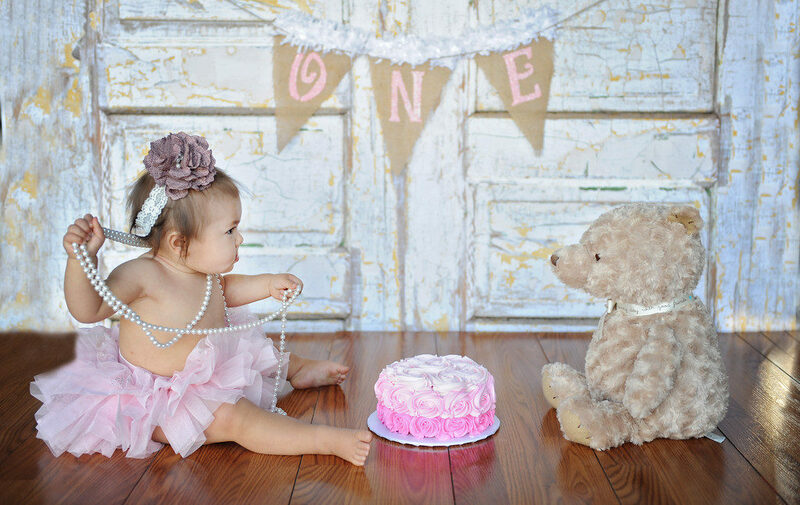 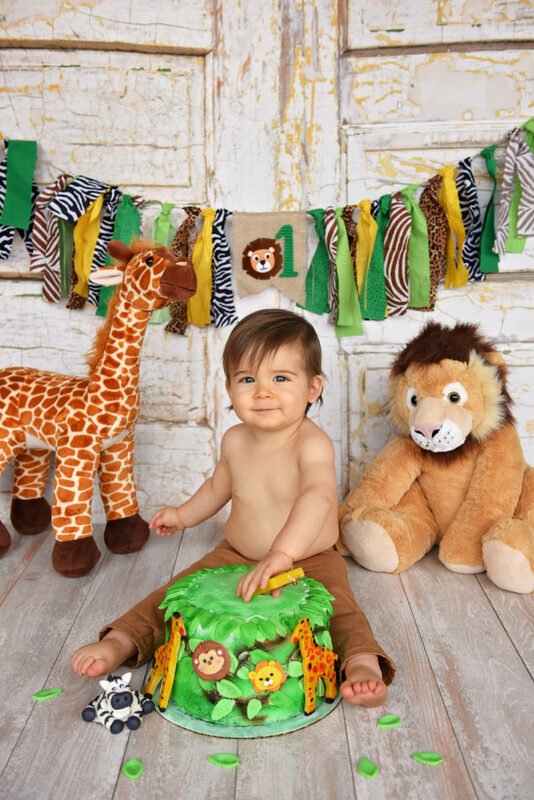 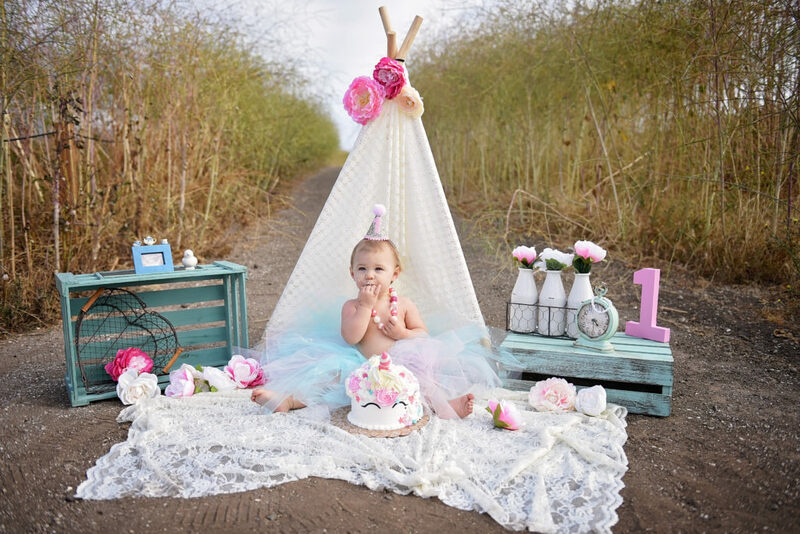 Have birthday decor or props of your own? 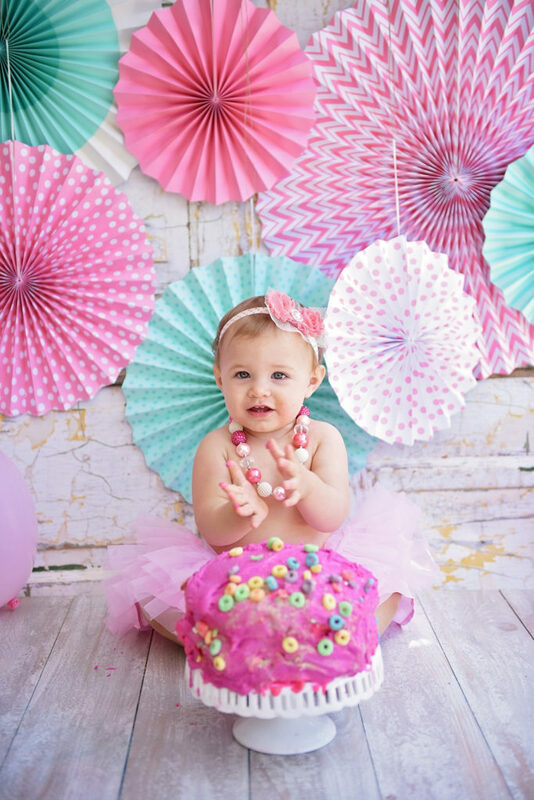 Then this is the package for you! 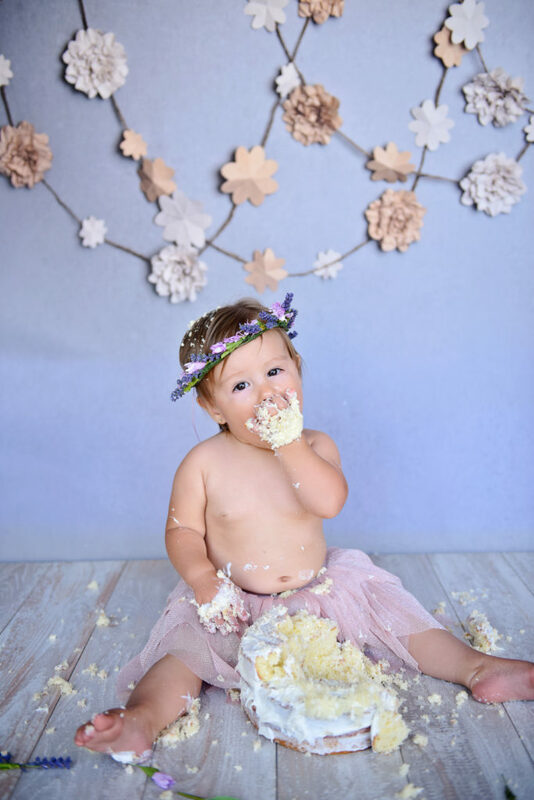 Don’t have time to make props or just want to leave it all up to me and not have to worry? 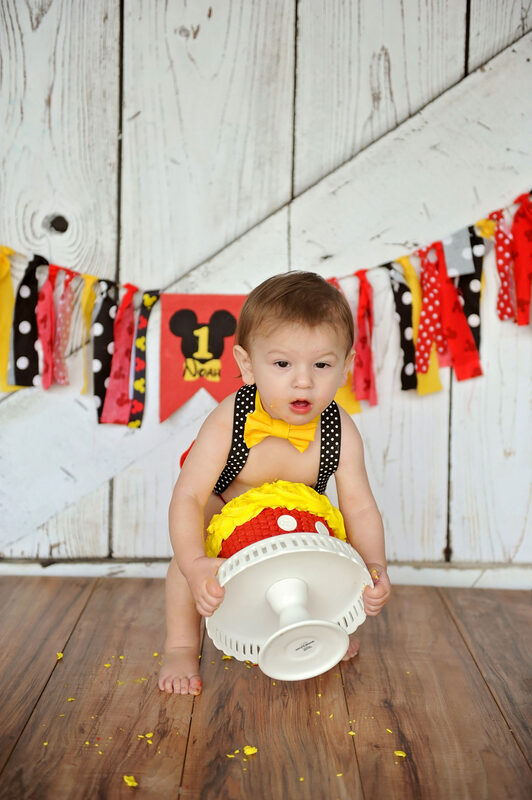 Then this is the package for you. 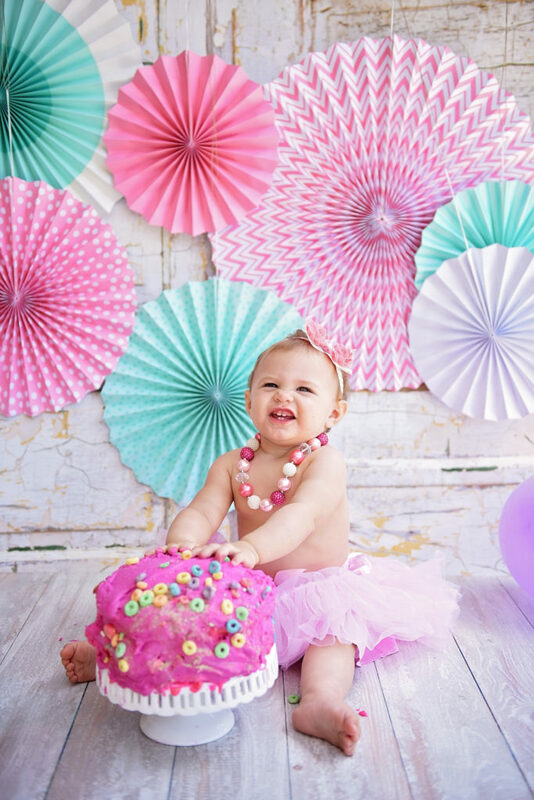 There is an additional fee for any locations further then 20 miles from our office.